Our good friend, Deimos-Remus has finally completed his long journey of making artwork for each and every enemy from the original Legend of Zelda. From the last time we checked in, Deimos-Remus, has finalized the last five enemies in the games. However, that’s not all. With the enemies now behind him, Deimos-Remus has started a project to draw out all of the bosses for the original Legend of Zelda and his first creation is already in! 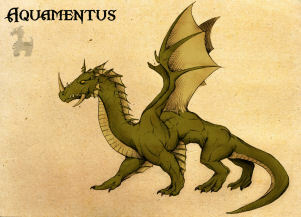 The Aquamentus stands out nicely and the darn things looks like a body building dragon. It’s amazing and has incredible detail. The Ghini artwork is legitimately freaky looking, but nicely detailed. The Moldorm, follows a similar awesomeness as the Lanmola that was made earlier. Check out all of the enemies over at our image gallery. Be sure to check out Deimos-Remus at his deviantART account, and become a watcher. New pieces of artwork are released quite often and you can get them first, right at his own page.